If you use the iOS 'Notes' App and find it does everything you need then, this App is not for you. The rest of us want more (always), and TopNotes promises to be a far more comprehensive note taking system than 'Notes'. Your first venture into the world of TopNotes already includes a notebook... a user guide. Feel free to go through the well thought out manual, although the App is very intuitive, so you might just want to jump in and then take a peek at the manual if you get stuck. So, let's get started and create a Notebook by simply touching the +, although we could also just have created a note or imported from Dropbox (or others). We are now invited to name the Notebook, choose a cover from a wide variety (or even use one of your photos), as well as a default paper type. The Notebook can also be protected with a pass code. The add function will now enable you to add an image (either from the camera, or your library), text, and pages. Text is simply entered by double tapping and then the result can be formatted to your heart's content, as well as being moved around the page. The bespoke keyboard includes very neat controls to help with formatting, including the oft missing forward/backward keys. There are also drawing tools, highlighters, and erasers. A hold on any of the icons will bring up options to set widths and colours. As an added bonus, you can import PDF documents and comprehensively annotate them. 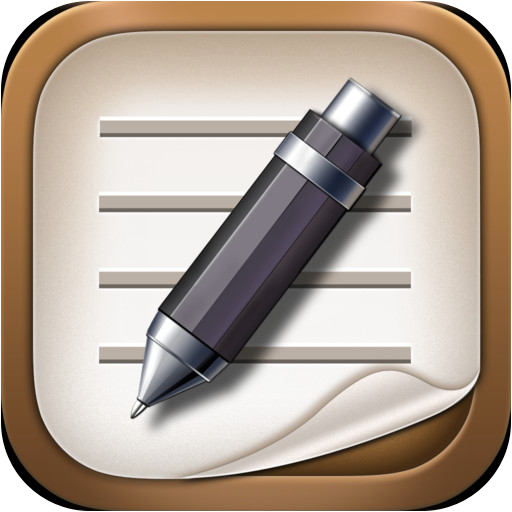 If you want to do more than just have text in your notes, consider buying this App. The wrist protection isn't perfect, although I haven't seen any implementation that is foolproof. As in others, you will need to turn off multitasking gestures before using the wrist protection option. You can save your notes to Dropbox, Evernote, Google Drive, and Box. The pass code is limited to the standard iOS 4 digits. You can get TopNotes Pro here and support for the App here.